Stella Whiteman will read from her novel, Control, Alter, Delete, Thursday, August 6, at Bindlestiff Books. Whiteman was born in London and studied philosophy at King’s College. She now lives in Philadelphia. This is her first published novel. London, 2059. Ezra Hurst’s quiet drink after work soon spices up when Lena arrives in the bar. She could have sat anywhere, but slips onto a stool right by his side. Her looks are intriguing; ten years in biometrics, but he’s never seen eyes so bright and green. Who is this woman? And why does she suddenly disappear? Not just from the bar but from all intelligence data too. Aside from his personal disappointment, he’s angling for promotion, and the last thing he needs are suspicious gaps in his security records. To make matters worse, he’s under pressure from a young anti-surveillance campaigner whose brother has been missing for several weeks. When she accuses Ezra’s department of doctoring his records, Ezra has to respond immediately; his company’s plan to roll out nationwide thought-tracking is controversial enough without angry activists making false accusations. Ezra’s investigations lead to a series of horrific discoveries and finding Lena takes on chilling urgency. Bindlestiff Books is selling advance tickets for the Philadelphia stop of the JoeHill Roadshow, a national tour commemorating the 100th anniversary of the death of IWW organizer and songwriter Joe Hill. 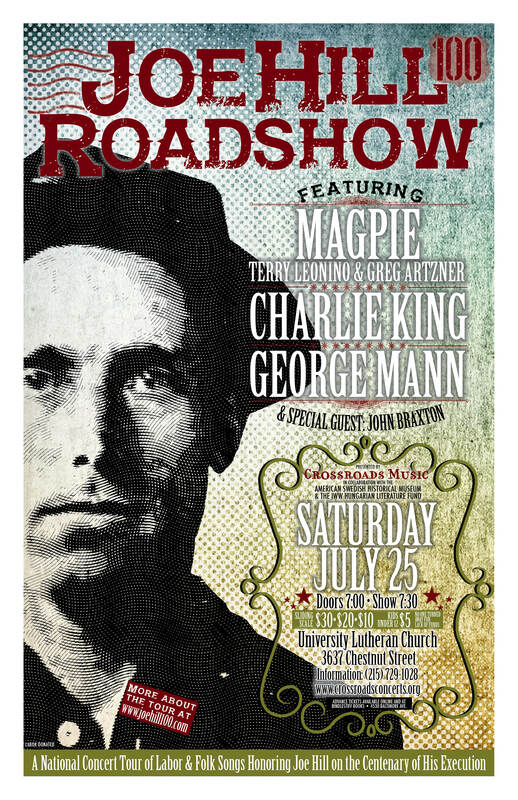 The concert is Saturday, July 25, at 7:30 p.m., and features Magpie, Charlie King, George Mann and special guest John Braxton. University Lutheran Church, 3637 Chestnut St. Sponsored by Crossroads Music with the American Swedish Historical Museum and the IWW Hungarian Literature Fund. THIS EVENT HAS BEEN CANCELLED. We hope to announce a July date soon. The second in our new series of monthly literary events featuring new, independent voices will be Wednesday, July 22, at 7 p.m. 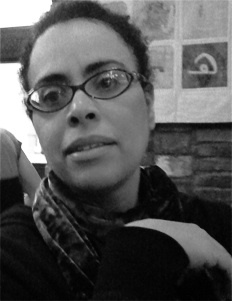 Featured Guest is performance poet Maryan Captan. Free. Categories Featured Titles, Hours, etc.